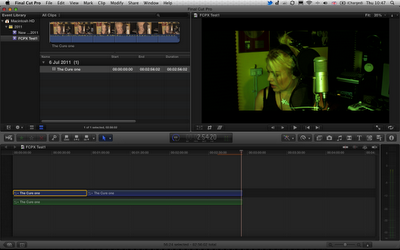 I've been playing with my new copy of FCPX, and i've got to say, i'm pretty impressed. There are definitely some issues when coming from FCP7, but it's a really intuitive product and it doesn't take long to find your way around it. I love the new timeline. I turn off the magnetic bit... it's handy for throwing together a quick assembly, but once you get down to some serious work, i prefer to work without it. I keep the windows simple, i turn off all the thumbnails... but, they are handy sometimes when you are looking for a specific part in a clip. I really like the new way effects are previewed and then edited. It's much faster to find what you want, make the necessary changes and copy the effect to other clips. So much faster than before. The new colour correction tools may be a complete departure from what we're used to...but they are so much easier and quick to get the result you want. Goodbye colour wheels... i've no idea why we had you in the first place. Some downsides... i wish i could shrink everything on the screen...it's all a bit big. Maybe there is a way i haven't found yet. I also wish i could use all my old plug-ins...but hey, that's progress. On the upside, there are so many very very usable and high quality effects here, that i don't have to re-buy half of the plug-ins i was using before. I've been working with H.264 footage from my Canon 550D.... no more Magic Bullet Grinder required... i just drop the footage into FCPX and it transcodes it to Pro Res 422 in the background while i am working!! Hello??!!! That's awesome. Rolling shutter issues? FCPX fixes a lot of them... the new stabilization tools are amazing too...very impressed. The big question... I'm starting a new feature film project in September... will i be editing on FCPX or FCP7? It's got to be FCPX. It's fast.... it's easy and as long as i don't run into any issues between now and then, i can't see any reasons why not. Ok, now i know some of you will be wondering about the lack of XML, EDL etc.. well, i'm prepared to gamble on them being added pretty soon. 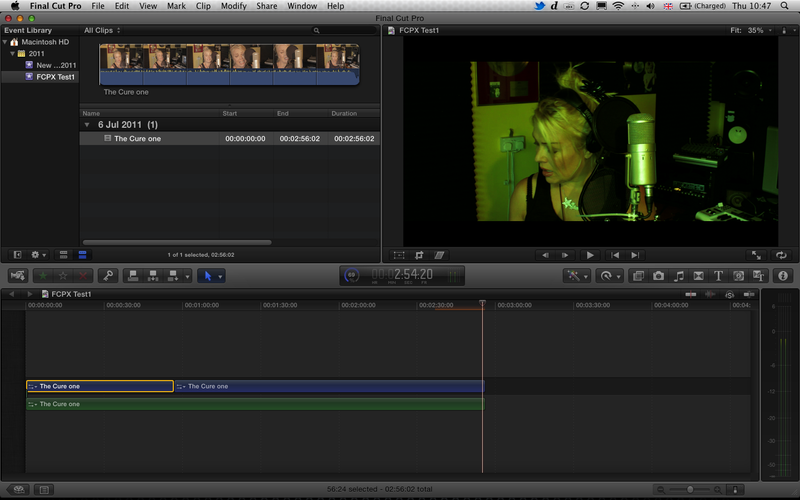 No doubt, this is a new environment for FCP editors to get used to... it all feels a bit odd at first. But... you will see your edit speed increasing and you will wonder why you ever put up with the clunky and dated way of doing things in FCP7. There's no going back.